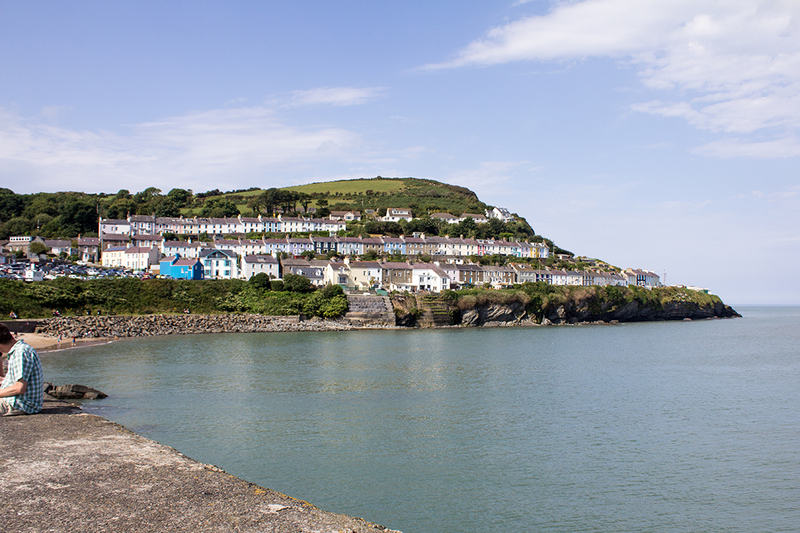 New Quay- not to be confused with Newquay, Cornwall – is a gorgeous little seaside town in Wales. 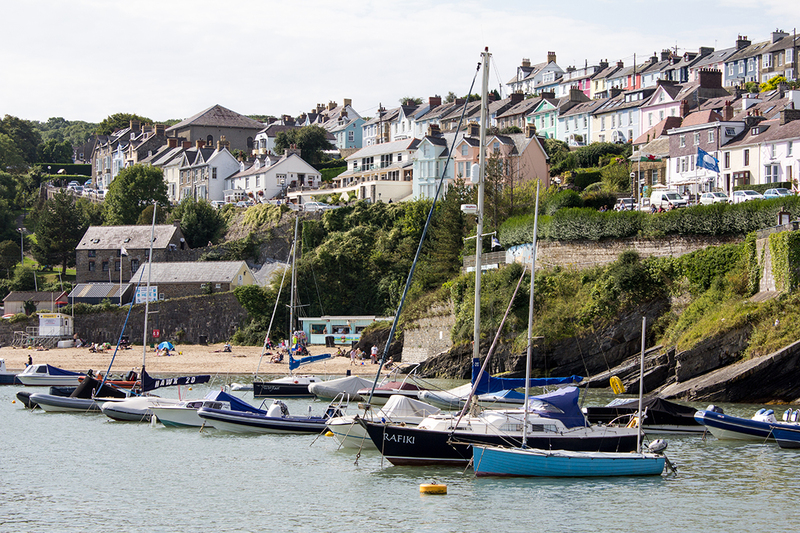 We’d been to New Quay a few years previously, so it was nice to get back and feel familiar with the place. 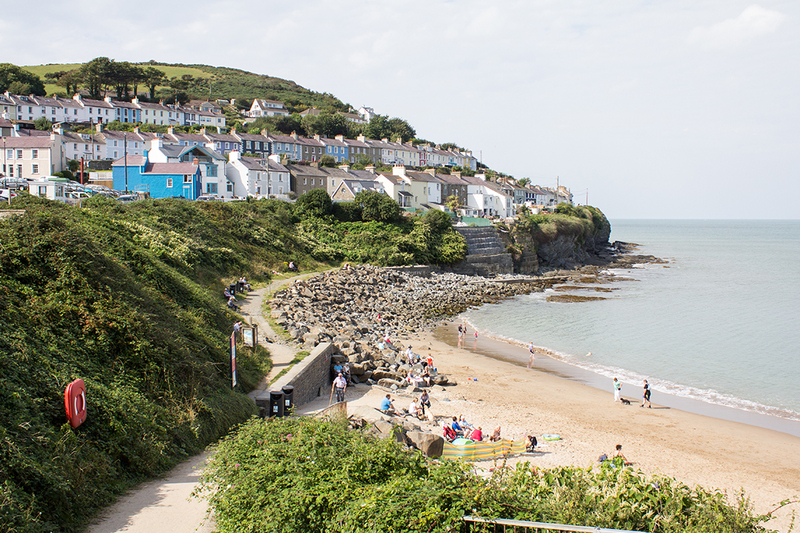 The first thing you notice with New Quay is the hills. 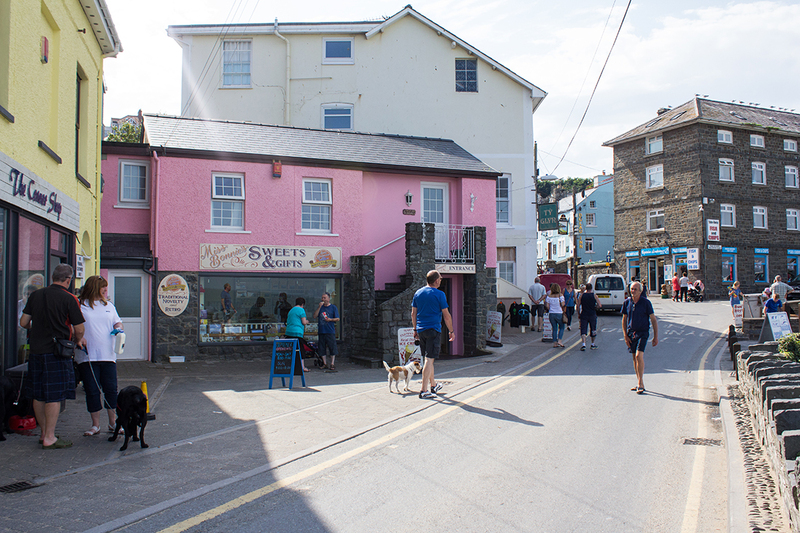 I’m not sure how far out New Quay goes, but this little area by the harbour is very compact. The hills are huge, and the roads are narrow. 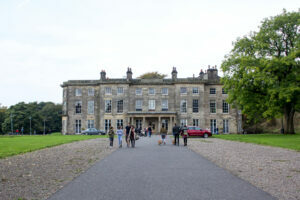 No pavements means people are walking on the road, and with cars parked up on the sides it looked tricky to navigate. I’m sure glad I wasn’t driving! 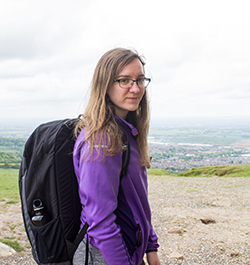 We parked up at the top of the hills and walked down, heading into the hustle and bustle of a touristy seaside town. 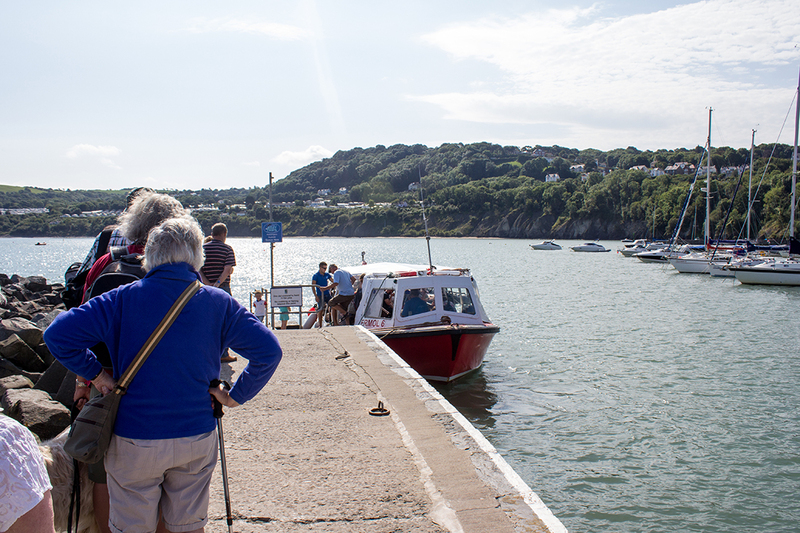 The boat tours are what makes New Quay so popular with tourists, with many offering either dolphin spotting tours or fishing experiences. 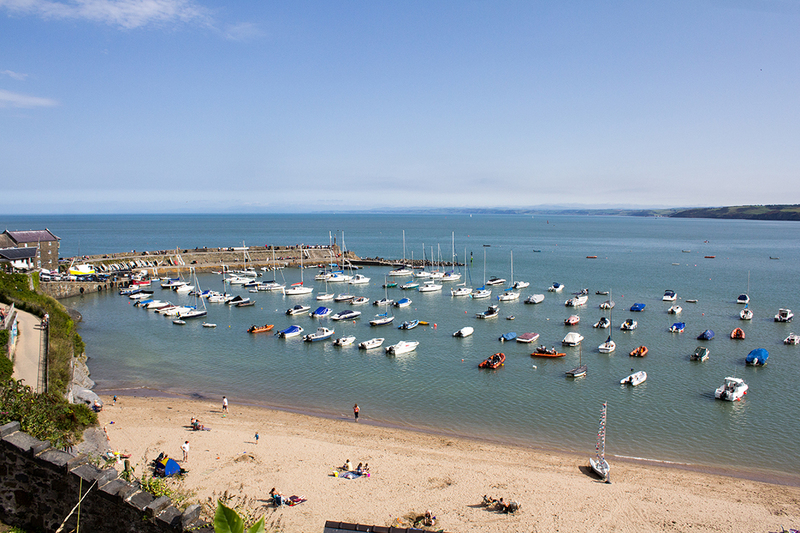 It’s kind of a given that you have to go on a dolphin spotting tour whilst in New Quay… I mean, why else would you be there?! Well we did it, and it was a lovely little boat trip. 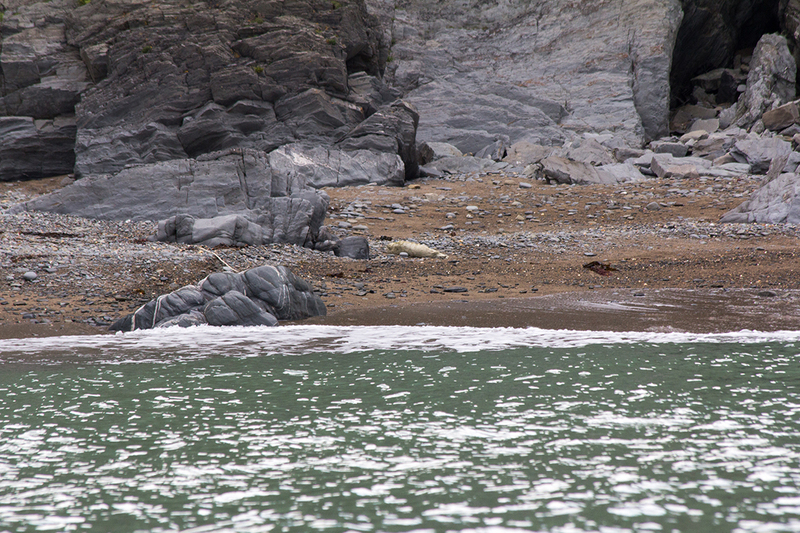 Sadly we didn’t see any dolphins but we did see a seal pup. Yep, it’s the white blob near the rocks on the photo below. The two guys doing the tour gave us information about the area and the animals we could see (or not see as in the case of the dolphins…) including the nesting birds. Something nice to do anyway. They do make it clear that these dolphins are wild animals, and obviously unpredictable. Maybe third time lucky for us eh? After that, we ate and had the best chippy chips ever. So, so good. Disappointing to not have gravy (because it wasn’t vegetarian friendly) but they were still good nevertheless. Time for dessert! We’d passed a couple of ice cream shops on the way down and knew exactly where we were heading next. I’d originally had my eyes on the butterscotch and honeycomb ice cream (doesn’t that sound heavenly?!) but then I spotted cinnamon toffee waffle and well that was it. I can’t resist anything cinnamon flavoured. It was as good as it sounds. 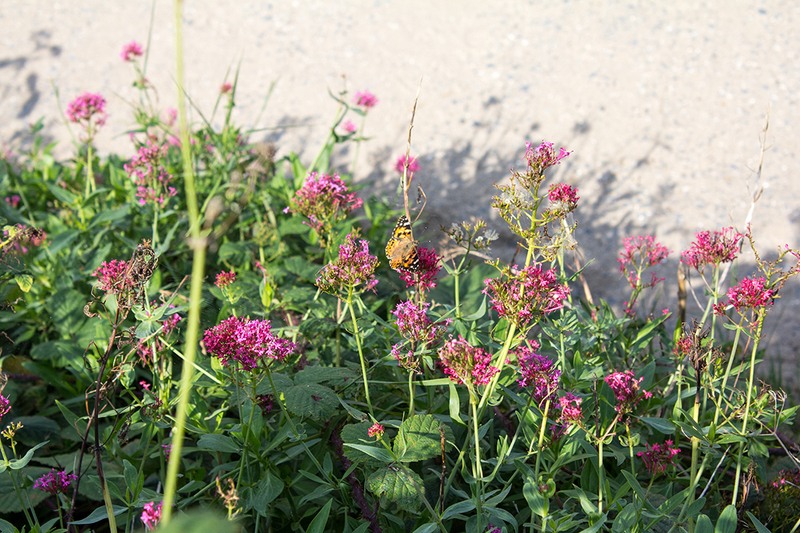 On this day we had 26 degree sunshine, so didn’t hang about for long. Instead we made the journey back to Cardigan Bay and made ourselves at home in the swimming pool. It was outside but with a glass covering that was opened up a little to let some sunshine in. Definitely a good way to end the afternoon! Ever seen any dolphins in the wild?